While I love to grab inspiration from pages of fashion magazines and images of the editors who put them together, what inspires me most are the beautiful women who surround me in my everyday life. Their beauty routines and how they put themselves together each day are only a few brushstrokes on the painting. What inspires and motivates them, how they carry themselves, deal with adversity, what makes them crazy or leads them to laughter – to me, these are the things that comprise a beautiful, inspiring woman. 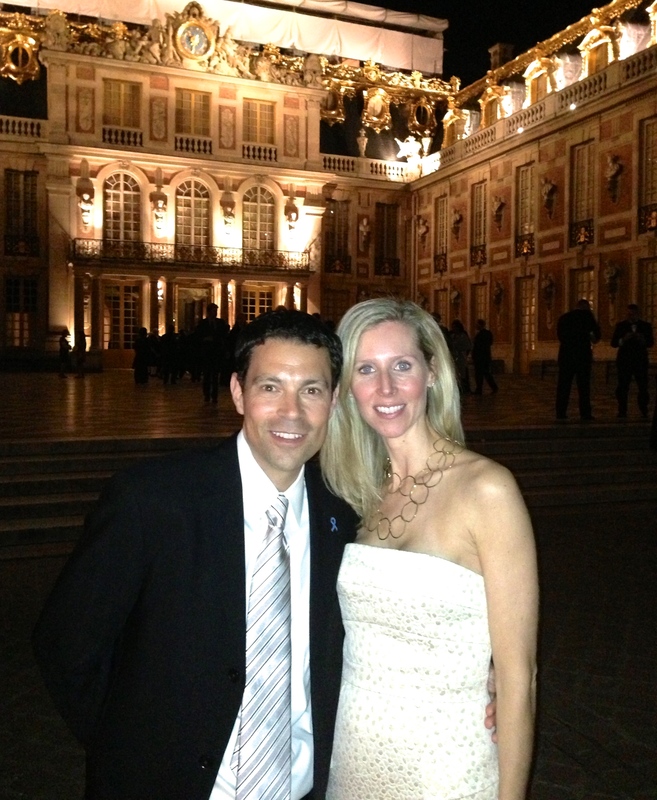 Stephanie and Eric, her college sweetheart and husband of 17 years, attending a dinner at the Palace of Versailles. The first profile I’m sharing with you is of my dear friend Stephanie. 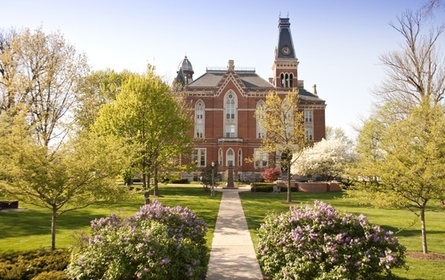 We met our freshman year at DePauw University and instantly became close. We roomed together in our sorority house, and after graduation moved into a little apartment on Dayton in Chicago where we shared closets and many nights we’d love to relive (and a few I’m sure we wouldn’t!). Steph and I now live three blocks apart here in Lake Forest, and I am lucky enough to see her several times a week, often working out at our friend Fronzie’s studio or walking our dogs, who are quite in love. She continually inspires me with her effortless beauty, quick wit, and extraordinary outlook on life. What is your go-to work outfit? Skinny pants with cropped jacket/blazer and a chunky necklace, most often my Mom’s pearls. Your go-to date night outfit? Dark skinny jeans, black top, heels, some kind of leopard accessory. What are your absolute beauty essentials? My Clarisonic, Neocutis bio-restorative (what that means I’m unsure) skin & eye cream, Laura Mercier eye basics and tinted moisturizer with SPF 20. Also, something neutral with just a hint of color on my lips. And I do really like this mascara called They’re Real. This sounds way more high-maintenance than I really am. I couldn’t live without my….family & friends. What is your biggest pet peeve? Laziness. Favorite places to shop? I’m not a big shopper, so when I need something I like to be able to get it quickly. 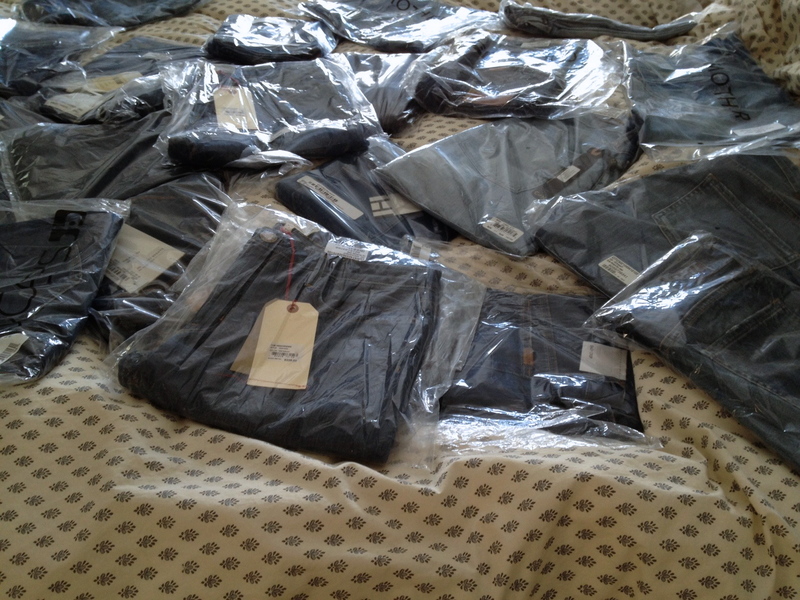 If I’m not purchasing online, I will go to J.Crew and Valentina, both within five minutes of my home. What never fails to make you smile? Hearing my kids laugh. What makes you blush? Certain compliments. What’s on your DVR? That I watch? I’m somewhat of a news junkie. The Daily Show with John Stewart, Nightly News, 60 Minutes…and mostly HBO shows…Girls, Looking, Togetherness, Silicon Valley, Last Week Tonight with John Oliver. Not on my DVR, but loyally watched – House of Cards and Orange is the New Black. What is your guilty pleasure? See previous response, and Starbucks. If I had 24 hours of absolutely nothing to do, I would… This is such a difficult question, because it’s hard to even imagine! Whatever it is, I would want to be with Eric and my boys. You’ve traveled all over the world. Do you have a favorite locale? Domestically, I would say the Montage in Laguna Beach. Internationally, I love Paris. My favorite childhood memory is… From the time I was born, my parents owned a home on Marco Island, and we drove to Florida a lot. I loved it when we had driven far enough south where we could open the car windows. I just remember the warmth, the smell, how happy I was to know we were getting closer to our destination. Being together with my family on Marco were very happy times. When do you feel most beautiful? When I’m happy. 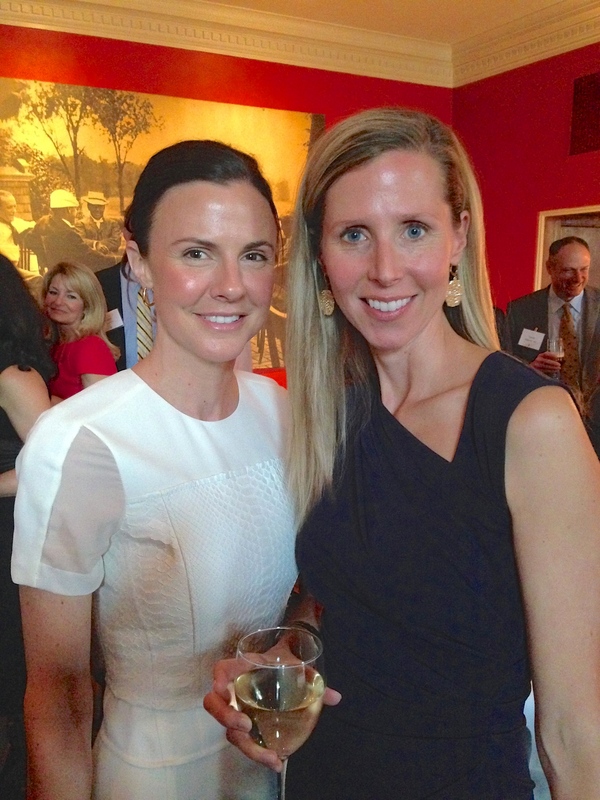 Together at a Northwestern Lake Forest Hospital benefit. Thank you, Steph, for your inspiration and for sharing your thoughts here. I know you’re blushing! I have a confession to make. When I was in first grade, I pilfered the lemon yellow crayon out of a classmate’s desk. I’d worn mine down to a nub and she hadn’t even reached the peeling-down-of-the-paper stage! In my six year old mind, she clearly didn’t love yellow as much as I did. I needed it. Alas, the guilt kept me up all night so I snuck it back into her crayon box, heart racing, when she was at the pencil sharpener the next day. 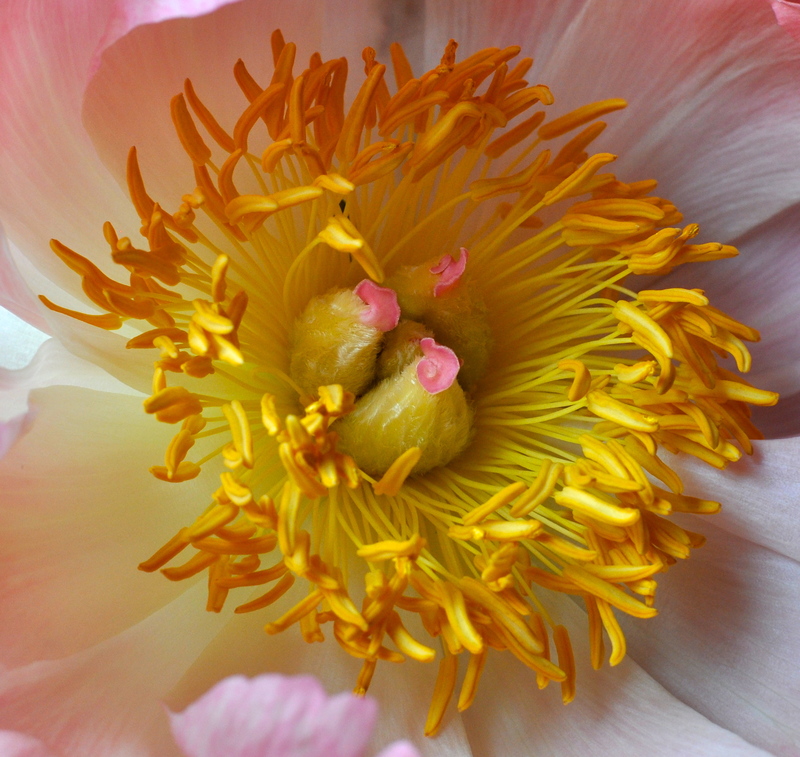 I’m as crazy over yellow now as I was then, especially in spring and summer when I’m craving color and sunshine. So many people think they can’t wear yellow, but there is a shade for everyone. My friend Stephanie, a fair skinned, flaxen haired beauty of Swedish descent, looks stunning in the pale, lemon yellow of my crayon stealing years. As a brunette, the golden, runny egg yolk version looks best on me and I love to wear it in both bold statement making pieces (my Alberto Moretti velvet day slippers – on huge sale here) and in smaller touches (my favorite Lem Lem scarf, similar here). The best part is, wearing it never fails to elicit a smile or two. And who wouldn’t want to be a ray of sunshine in someone’s day? Is anyone else desperate for color? Stepping into spring with colorful statement loafers and wear-with-everything blue basics will be an instant mood lifter. Topped with a neutral leather or military inspired jacket and a patterned scarf, you’ll have the perfect ensemble to combat April’s mercurial nature. For a more polished look, pair solid dark denim with a crisp oxford and your favorite gold accessories. Either way, your shoes will be the star! Olivia Palermo’s loafers shown in above photo (via pinterest) are by Pretty Loafers and are currently unavailable, though you can leave your e-mail address on the site for notification of future availability. They have many great options in stock! Who would’ve thought a little white skirt could be so versatile? This cameleon goes from spring to fall, weekend day to dinner party, in the blink of an eye. I’d wear it now with tall boots, a bomber jacket and a cable knit sweater! Luxe, loose cashmere from one of my favorite knitwear lines, here. The coziest, wear-everywhere grey cashmere crewneck, here. Love the look AND the price tag of the above cable knit. The Row absolutely slays me. It is my kryptonite. If I could, I’d live most everyday in something from their mindblowingly perfect label. Would you not wear the above sweater to death? Cost per wear is my argument! The Row again. Sigh. I am telling you though, the quality and construction are impeccable. Love, love, love this fisherman’s knit. This chunky cotton marled knit is a super budget-friendly option. Who better to perfect cool weather knits than Burberry? I’m crazy over the above creamy cashmere funnel neck. Rag & Bone is always spot on, and I am loving the warm hue of this cotton pullover. I am seriously tempted to size up and order this boy’s J Crew cotton cable knit sweater. How great are the dark cuffs and the price tag? It just may be my favorite! Lesson #1: Order one size smaller than your usual – your normal size in boyfriend will swallow you whole. This finding was consistent with every brand. Lesson #2: Stay away from the wildly distressed versions to avoid looking like you’ve just painted a house or laid asphalt. I remember reading in The Lucky Guide to Mastering Any Style half a decade ago that you can buy a pink jacket and you can buy a motorcycle jacket, but you should never buy the pink motorcycle jacket. In shopping lexicon that means one statement at a time, my friends. And I bet the denim sales associates would never tell you that. H: Um, what’s with the mommy pants? Me: They are NOT “mommy pants” they are boyfriend jeans and they happen to be VERY popular. Me: You see street style photos and pictures in magazines of women wearing them with their heels and blazers all the time. H: Then you should put on heels and a blazer or change back into your skinnies because you’re looking a little…down on the farm in that button-down. It may sound like I regret my baggy-denim purchase, but I really am loving the relaxed silhouette. And I confess to still wearing them with my button-downs, though only in our home or when well covered by a trench.